The Kings Arms Inn is a large, thatched, Grade II listed building of unique historical interest. When listed in 1967, the building was described as a ‘Public House. Circa C16 and later’. 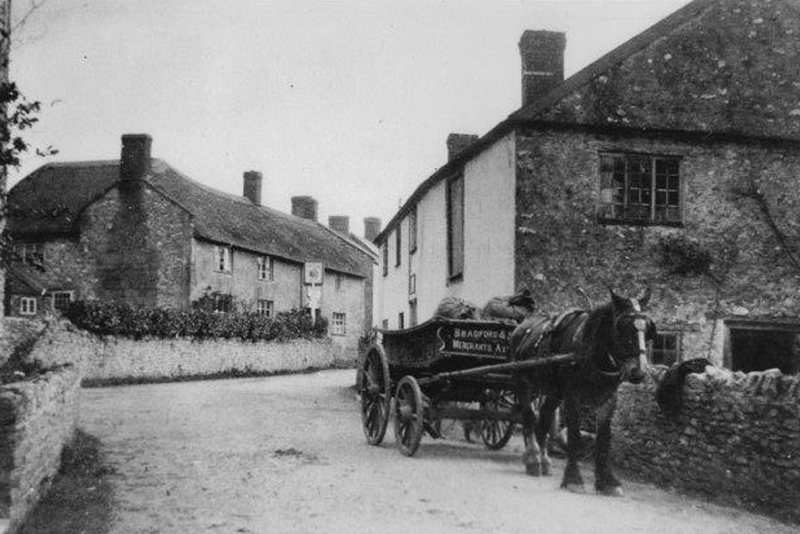 The current premises were originally named ‘The Horseshoe Inn’ which was trading as an inn circa 1700, when Jeremiah Combe, a yeoman of Stockland, held it under an agreement with the Lords of the Manor. It would appear from the local records that the inn had its name changed to the Kings Arms around 1789. The Enclosure Act of 1807 was signed at the Kings Arms Inn by the Commissioners on 7th January 1824 when it was finally settled. The Award contained 27 sheets of parchment. In those days Stockland was on the coach route between Exeter and London, and the large entrance archway is evidence of this. There is also a mounting block at the main entrance, much used in the days of horseback travel. The mention of ’skittle ground’ is interesting as it has been recorded in old newspapers that the Kings Arms Inn, Stockland, was where the first skittles match was played. The Kings Arms Inn held numerous functions, including farm and house auctions, and Fair Day gatherings in June, when livestock was sold on and near the premises. 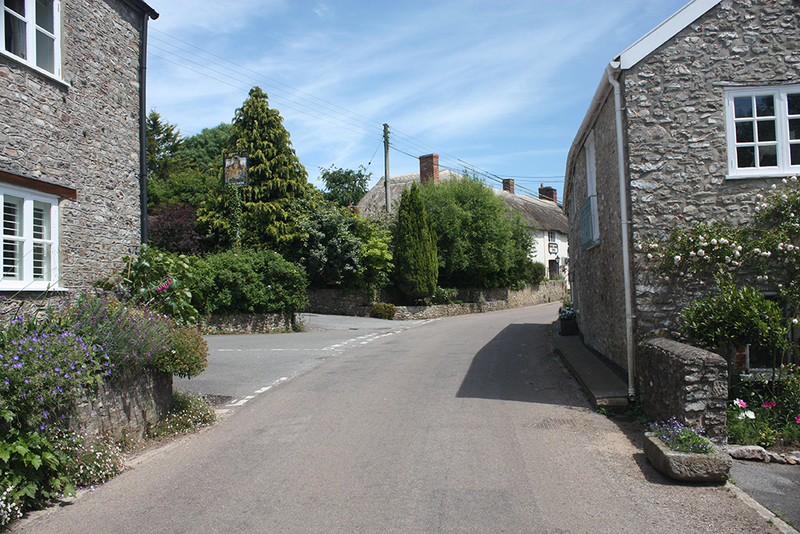 Examples of the organisations attending functions include the Stockland and Dalwood Ploughing and Labourers Friendly Society and the Devon Mounted Rifles. In 1981, renovations to the building uncovered a bricked-up cupboard with an array of pegs used by judges to hang their wigs on. It is known that the first floor of the inn was where the court sessions were held. After the renovations were completed, the grand opening was attended by several members of Somerset County Cricket Club, including Sir Ian Botham who was at that time captain of the England team. EXTRACTS TAKEN FROM BRYAN DREW’S ‘A JOURNEY THROUGH THE HISTORY OF STOCKLAND’, BY KIND PERMISSION OF THE AUTHOR.